The title would probably be reserved for places like skiing on the snowy Swiss Alps, relaxing on the beautiful sandy beaches of Maldives, a culture filled trip to Europe, or anywhere with Disneyland for the kids. To associate it with Perth would be far fetch in most eyes, especially since Perth was named as one of the 10 worst cities on the planet! Perth was NOT our original holiday destination. Due to unforeseen circumstances, it became our alternative to our original self-drive tour in New Zealand that we planned months ahead. For Perth, I had only 2 weeks to prepare for the trip. Given that it was winter and most of the amusement parks in Perth were closed during this period, our expectation was set at a very low bar. It was anything but boring during this one-week self-drive and hastily plan vacation. In fact, we are calling it our best holiday ever. Perth is perfect for families with young kids. 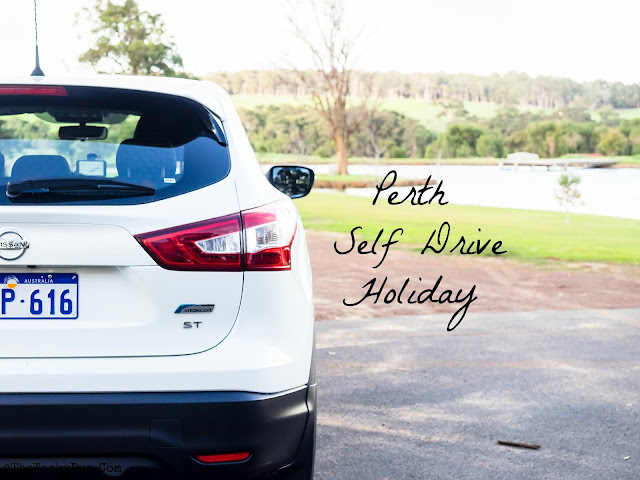 Self-drive is a painless experience and adds flexibility to our holiday agenda. Considering the short time spent in Perth, we had probably just scratched the surface. Ride along with us as we take you on a week long adventure in Perth! We took the morning flight to Perth and reached Perth by 1 pm. Flight time to Perth is a mere 4.5 hours. A short flight, but it took us from Sunny Singapore to Cool Perth. Someone just turned on the air-condition for us 24/7. The bill from Hertz is about $100 more than what was indicated on our online booking. We were told that these were additional fees not included in the package. It was only much later that we realized that it is a holding fee that will be refunded at the end of the booking. Hertz Perth - Beware the hidden cost! Nonetheless, it will not take a bill $100 to ruin a holiday. So off we go. It was a short ride into the City as we checked into our home for the week. Quest on James Street. It was a 2 bedroom apartment that comes with free parking ( a must in Perth City as parking rates can be pretty expensive! Since it was a weekday, most shops closed at 5-6pm. With limited places to go, we decided to venture out of the apartment and found a playground steps away from Quest. It may be a short day, but it marked the relaxing spirit of the trip. It was a good break from the hustle and bustle of busy Singapore. Updated 2018 - Quest on James Street has been rebrand to Best Western Northbridge Apartment. You can book the apartment from this link. Swan Valley was an easy 30 minutes drive to Perth City. Getting to your location is relatively easy. Either pop in the coordinates in your car GPS or your handphone GPS and you will be there in a jiffy. We used Google map and the car GPS and found no difference using either. If you want to save cost, we think you can ditch the car GPS and rely on the handphone. $100 may not go a long way, but it will pay for a meal for 4 in Perth. Our day began with breakfast at Taylor's Art and Coffee House. It was quirky destination with one restaurant and a gallery in the same location. Now, who could resist a full platter of eggs, mushrooms, beans, bacon and sausage? It was a hearty ( but pricey) meal indeed. As for the arts, you can view the impressive tree that was made up of waste from the sea. The space outside the restaurant is great for kids to roam about. There is even a sand pit for them to jump in and play. Next up was a visit to Caversham Wildlife Park at Whiteman Park. Seeing Koalas is a must thing to do in Australia and you could do it at Caversham. The highlight of the park would probably the Kangaroo feeding sessions. There are plenty of Kangaroos in the park and they are accustomed to humans. Feeding them was an easy task with the feeds provided. Farm shows, which feature sheep shearing and dogs mustering sheep, are held at certain intervals. There are other museums, playground and even a tram ride in Whiteman Park. You probably can spend a whole day at Whiteman. Since we have limited time, we decided to skip the rest of the attractions and continue to explore Margaret River. After a 5 minutes drive, we reached The Margaret River Chocolate Company. Especially when you have 3 huge bowls of FREE chocolate for tastings. There is a cafe there too and the white hot chocolate was simply divine. For wine lovers, you will enjoy the wineries found in Swan Valley. Free tasting is available at most wineries too. There are plenty more things to do at Swan Valley such as Swan Valley Cuddly Farm, the Maze, reptile farm and more. A repeated trip in the future is a must... at least for us. Our last stop was at Coles. If you are living in an apartment, we recommend a trip to Coles to stock up on food and drinks. A trip to the restaurant can be an expensive affair. Our breakfast alone cost almost $90 for 4. A full 3 meals a day would easily set you back by $300 per day. To mitigate the cost, we got a freshly cook chicken and pizzas for dinner back at the apartment. It cost us less than $30, but it tasted great! On route to Fremantle, we made a stop at The Blue Boat House (Crawley Edge Boatshed). If you are driving, park at Perth Dinghy Sailing club and take a 5 minutes stroll. After a 15-minute photo session, we headed off to Fremantle Market. On the way to Fremantle market, we spotted several buildings that would not seem out of place in London. The early colonial buildings are still standing tall and proud, giving Fremantle an old school European charm. For someone who admires old historical buildings more than modern skyscrapers, Fremantle was a perfect getaway for a day trip. Fremantle market itself is a charming place that has a combination of shops selling (mostly) Aussie made stuff, eateries and a fresh market. If you spot something you like from there, our advice is to get it as you would probably not find one anywhere as. Drivers take note, car parks can be found in the multi- storey carpark adjacent to Fremantle markets or around the compound of Fremantle Prison. Fremantle Prison is an easy 5 minutes walk from Fremantle Market. This was the largest intact convict Prison in Australia. It had seen the last of the convicts in 1991. Today it is Western Australia only World Heritage Site. There are different tours conducted around Fremantle Prison. From the relatively tame Doing time tour to eerie Torchlight tour on selected evening, there is bound to be a tour to suit different groups. We took the relatively docile Doing Time tour. It did felt a little spooky in parts, especially when we visited the death row section. Kids should be fine during the day but the creepy night tour is not recommended for their age. At least the boys got to view what life is like in a real prison. This would probably discourage them from chasing a life of crime when they grow up. Seeing the 2 by 1 meters room without TV or iPad in sight is a great deterrent. After one visit, The Wacky Duo agreed unanimously that they would walk the righteous path in the future. I would bring them here again if they started to turn to the dark side. If you have time, you could also head to one of the museums found around the vicinity. We had to skip that for this trip due to limited time. In a nutshell, we needed more time for this trip. The next time we come, it will be for a minimum of 2 weeks. We did make a pit stop at the famed Kailis Waterfront Fremantle for a taste of their renowned fish and chips. There are other Seafood restaurants around, but Kailis would be one of the most popular ones in Fremantle. We took the seafood platter and it is big enough to fill the 4 of us. Fremantle is a good 45 minutes away from Perth City. By the time we head back, we probably have less than 30 minutes of daylight left. That did not stop us from driving to King's Park to have a bird's eye view of the city of Perth. King's Park is a charming place to have a picnic and watch the world goes by. If time permits, do visit the synergy parkland that has dinosaur themed play equipment or the Lotterywest family area for kids under 6. Sadly, we did not have the luxury of time (again). That did not stop the boys from enjoying the beautiful lawn in the park. You can leave the car and book a relaxing day tour to explore Perth and Fremantle at a reasonable price from Klook here. Truth be told, we could probably do this portion on our own. What stopped me was that I thought I need to drive through miles of desert road to reach Pinnacles. Hey, it's the family first trip to Perth, so it was forgivable that I had such notions in my head. It was an easy trip with the first stop at Yanchep National Park to see Koalas and Kangeroos. It was our second encounter with them during this trip and it was not our last either! There was something new for the trip and that was a visit to the Lobster Shack. The Lobster Shack is open to the public, so you can also make it on your own if you self-drive. The self-tour around the Lobster factory was alright. You walk around a big room and see Lobsters in different sections. The highlight of the trip is not the tour but the Lobster's itself. The lobsters are available at different grades. The grades determine the size of the lobsters. We had the Grade A Lobsters. Grade A does not mean the lobsters are the most expensive. On the contrary, the grade means that is the smallest lobsters on the menu. It may be the smallest, but it was the freshest lobsters I had ever tasted! After lunch, we headed down to the Pinnacles. The Pinnacles is interesting with plenty of limestone rocks that is found around a desert patch. The initial fear of driving on the desert itself is a complete farce. The roads leading to the dessert is (ahem) paved. You get to drive around the desert but it was an easy ride with a path that guided you in a loop. You would find it almost impossible to get lost. Fine.. next time I may drive. Before the sun sets, we drove to Lancelin Sand Dunes for the last activity of the day.... sliding down the sand dunes. It may look daunting at first sight, but it was a tonne of fun. Since it was Winter, the day ended pretty quickly. By the time we made our way back to Perth, it was already pitch dark. If you are driving, do take note of the time as the stretch of road leading to Perth has NO street lights for most parts. Klook.com Interested in a Sand Dunes Experience without self drive? You can book a Pinancles , Sand Dunes + Koala Tour from Klook at a special discounted rate here. The day started a little gloomy with rain. Thankfully, the rain did not last long and we managed to head across Swan River for breakfast. The next time we plan another Perth holiday, this is probably where we would love to stay. It felt a lot more relaxed compared to living in the city itself. Breakfast was at one of the restaurants along Mends Street. After a few days, we realised it will be a futile effort to search for Bee Hoon. So we had to make do with the standard eggs and bacon menu. Next up was a trip to The Bell Tower. We had wanted to ring the Bell, but unfortunately, we were there on a wrong day and bell ringing session was not opened to the public. Check The Bell Tower schedule first before a visit if you plan to ring the bells. Not wanting to lock ourselves up in the Bell Tower, we decided to head to another location. The rain came again and we headed towards Scitech Perth. Actually I gave the boys a choice. Immerse themselves in culture with a visit to Perth Museum or explore interactive exhibits at Scitech, Perth equivalent of the Science Center. It was an easy decision for the boys. We ended up in Scitech for the rest of the day. It was not a bad choice as hours were spent exploring Scietech. The day ended with a quick shopping trip at Myers. With kids around, we master the art of grab, pay and run. The shopping experience took less than an hour and we headed back to James Street. The plan was to have a quick dinner before our road trip to Margaret's River the next day. The boys decided otherwise when they spotted a Timezone outlet along the same street. Guess this was their day as we ended in the amusement center before heading back to our apartment. As the ride towards Margaret's River was a good 3 hours from Perth City, we decided to make several pit stops before we reach the hotel. First stop is Adventurescape, a brand new playground about an hour drive from Perth. This is a good stop for kids to stretch their legs and get themselves so tired that they will fall asleep for the next leg. After all there is only so much ' Are we there yet?' that I can take while driving. There is a Jetty there with a train ride to the end of the pier that brings you to an underwater observatory at the end of it. The underwater observatory was closed when we were there. Busselton Jetty is a place where budding photographer likes to hone their skills. So naturally, the little one decided that HE would be the photographer for the following shot. After a quick lunch, it was off to Cape Naturaliste Lighthouse, a mere 20 minutes drive away. The pass includes entry to the nearby Ngilgi Caves, an easy 15 minutes drive away. If you have not been into a limestone cave, we guaranteed that you would be wow. Ngilgi Caves is the first cave that was opened to tourist since 1900! Since then, other caves were discovered in Margaret's River. There are over 150 caves in the region and the famous ones are Ngilgi Caves, Lake Cave, Mammoth Cave and Jewel Cave. After a long day of adventure, we finally made our way to Margaret's River town. Our home for the night was the beautiful and modern Margaret River Forest located at the edge of town. It was a 2 story inter-terrace. We wished we had stayed there much longer. Need a room in Margaret River? Check out the surrounding accommodations. Our last day at Margaret's River started with a bang. We headed towards Augusta and took a whale tour with Whale watch Western Australia. Prior to this, we had been to another whale watching tour back in Gold Coast. It was a great experience then but it pales in comparison to what we witnessed on this tour. Within minutes of departing from the pier, we were greeted with pods of whales from all directions. There were pods of 2 or 3 whale swimming next to us while at a distance away, we caught a glimpse of a whale breaching. All in all, we spotted over 20 whales. To cap off the experience, one particular whale decided to entertain us with it's breaching. He did it over 8 times within 50 meters from our boat. This was exactly how he looked like below. Best whale watch till date. Whale Watch at Augusta is only for selected time of the year. We were there in June to catch the whales. See the highlights of our whale watch here. After the exhilarating experience , we took a 5 minutes drive to Cape Leeuwin Lighthouse. Initially, I had planned for a lighthouse tour. However given the long trip back to Perth, the plans were shelved. We already made up our minds to be back in Margaret's River in the near future. There are a whole lot of things such as farm stays and caves that we had yet explored. Locals will tell you that if you head to Margaret's River, you should not miss the wineries. We spotted over a dozen or more wineries along the journey and decided to make a stop at one of them for lunch. The one we decided to head to is Cheeky Monkey. However it is not a Winery but a Brewery! No wines , but beers on the tap. No matter, the famous cheeky burger helps. Besides since I am driving, I can't drink anyway. As for the kids, brewery or winery does not matter to them. Not when there is a playground on site for them to explore. If you are planning to do the same, we recommend a pit stop about 20 km before you reach Perth City. This stop has McDonald's and Red Rooster. Address as follow BP Service Centre, Lot 191, Paparone Road, Baldivis WA 6171, Australia. You could pick up some dinner before you head back to your apartment/hotel in Perth. Trust me, you would need it as you would probably be too tired to head out after a 3 hours drive. Updated (Sep 2017) - We love Margaret River and decided it warrants a week visit. Read about our Self Drive Margaret River experience and 25 activities for kids in Margaret River. Day 8 : Goodbye Perth! Saying goodbye to Perth is not easy, so we decided to head to the zoo after checking out of the hotel. Our flight was in the afternoon, so we have enough time to squeeze in one last tourist spot. From the mini dinosaur looking chameleon to the T Rex, Perth Zoo has it all. Ok the T Rex may not be real, but they moved and were life sized! We did say our goodbyes to the Kolas before we left. Perth had been a great city to visit for us. Compared to other cities, there are more natural attractions to explore vs manmade attractions. There are theme parks in Perth, but they were closed for Winter. Truth be told, we do not miss them at all. Perth had wowed us so much that we are even thinking of getting a small apartment there to make it our holiday home. We will be back Perth! In the meantime, check out our Holiday Highlights to see what else have we been up to in Perth. It is pretty easy to live in Perth. Here are some tips to make your holidays a little more easier. 1) Get your SIM card at the airport. There are Optus and Vodafone outlets at the airport. We got Optus because they have a deal at $2 per day. Reception wise was pretty good throughout the trip. It is best you check the respective telco sites first prior to your trip for the best deal. Do note the SIM cards does not allow tethering ( at least ours does not). If you really need a shared connection. Changi Recommends outbound wifi is a must based on our past experiences. #update 2017 : If you are travelling to Margaret Rivers, the Telstra Card works the best as it covers most areas. Optus do have reception issues in Maraget River. It is almost a must if you stay in Perth. Forget about the renting the GPS unit as Google Map works just as well. Do note the speed restrictions in the city. The traffic police are very ' on the ball' and you could be fine if you exceed 1 km of the speed limit. Remember, it is the speed limit, not the speed target. Drive like a turtle, no one will honk at you. Driving is on the same side as in Singapore, so there should be no confusion for Singapore drivers. Birth to under six months to be restrained in a rearward facing child restraint (e.g. infant capsule). Six months to under four to be restrained in either a rearward or forward facing child restraint with in-built harness. Four to under seven to be restrained in either a forward-facing child restraint or booster seat restrained by a correctly adjusted and fastened seat belt or child safety harness. *Do note that some portable booster seats are not allowed in Australia. You might even consider getting a booster seat in Australia instead of renting one. This booster seat from Kmart is retailing at AUD49 . It is fold-able and you could use it for other self drive travels. Best of all, it is Australian Approved! You would need it for parking. Parking is by meter, so do get your coins ready. As parking is expensive, do prepare a lot more coins. Apartments will be a better deal than hotels. You get more spaces and bedrooms to roam about. A family of 4-5 should be comfortable in a 2 bedroom set up. Some apartments come with free parking so it is a great deal. Getting an apartment with car parking is also useful as you are not guaranteed a parking spot especially in popular places. With a meal averaging $20-$30 with drinks EACH, it is best to prepare some meals on your own. If you are willing to splurge, no problem, go ahead. If not, getting some food from Coles is a good alternative. Coles is also stock with freshly cooked chicken, shepherd pie and more for a complete meal. Staying in an apartment will be great as you probably have a proper dining table for your meals. Do very little or do a lot. It does not really matter. The pace is Perth is much slower compared to Singapore. Just take a deep breath, relax and enjoy Perth! All expenses on this trip are from our own pockets. If you like what we do for this post, do support us by clicking on the affiliated links above. All the cost will be the same as the website. TWD will get a small remuneration for the tours/room booked in return. Hi, may i know if optus sim card coverage is good at margaret river areas? Thank you for the indepth post. I was planning for a trip to Perth for my family and lot's of idea was generated through your sharings. may i know if you need to get the whale watching ticket and the above and below pass in advanced? thanks! Thanks for your post too! It is very helpful! Great info given. Thanks! Btw may i know how much u spend for petro in Perth? Also any tips or other services i shd look at for car rental? Surprisingly the Nissan Quashi is an economic car. We only top up twice. Less than $100. hi thnks for sharing..its very interesting..as we are going in the next couple of weeks..it really helps and give us some pointers to note...thanks again..
hi thanks for sharing..its very interesting..as we are going in the next couple of weeks..it really helps and give us some pointers to note...thanks again.. Loved your write-up and details. I'm going there this weekend, so I find this really helpful. You are welcome Maryanne. Enjoy your trip! Just sharing. Whale watching is at busselton jetty instead of augusta from September to December period. Appreciate if you can share the location of the pitstop 20km before reaching perth. The one that has Macdonalds and Red Rooster which you mentioned. Thanks! Hi, if i follow your itinerary, can i take Caravan instead of car? Hi, Thank you and what a wonderful article on Perth. I am going there in Nov with my family. Do you think it's feasible to drive all the way from Margaret River to the Perth Airport to catch a 2:15pm flight back to SG? Thanks. It would be much better if you take a night flight or stayover in Perth for the night. Hi! Thanks for sharing all the lovely photos and comprehensive itinerary - they're going to be so useful in planning our trip there in Dec! I'm just wondering, would you say the Ngilgi Caves are manageable for our 2.5 yr old tot to explore with us? I would love for him to experience being in a cave, but I'm not sure if it's safe for us to visit with him in tow. Thanks lots for taking the trouble to reply! Alright, I see... Thanks for sharing your view on this! Hi, may I know for the car rental, what were the hidden addition charges and did you book through hertz own website or through other websites like vroom vroom? I am going to perth in mid November and was thinking of using Hertz until I read your post. I booked through their website directly . Till now I still can't figure out why the difference in the price I book and the price they charge . Also they actually charge you before the night before trip from your cc. When I asked them for explaination at the counter , the staff was clueless . I send them an email and no reply too . That's my own experience . You might like to read reviews on TripAdvisor to decide on their services . Hi TWD, can I ask where is the stop where theres Mcdonald's and red rooster? Is it near stock land or baldivia? hayy, thank's for sharing the story and pictures, it's lovely. I have a question, i'm going to Perth on 25th November 2016 and plan to buy a sim card at airport, do you think they can activated the sim card on my phone? because i ever bought a sim card at coles from the last time i visit Australia, i went to Darwin and i tried activated it by myself but it didn't work and it was pretty confused me on that time. But iPhone has no Sim Card right? Thanks for such a comprehensive articles and it is such a joy reading it. we are traveling as a couple. food sold at coles are cooked? how much does it cost for an apartment? hayy . may i know can the optus reception help me to activate the sim card? hi, may I know if the Margaret River accommodation was Margaret's Forest at Bussell Highway? Were there decent food options in the area? Thanks! May I know if we need international driving licence to drive in Australia? Hi, intend to do some driving in perth, May I ask what are the parking charges like ? and tips on parking, like coles, are those free parking or? Parking charges varies at different parts of town . Can be quite expensive especially in the city . For outskirts like swan valley , parking is much cheaper . Can't remember if coles is free parking . It might be for the one near swan valley . Hi, how do I book Lancelin sand dunes slides if I plan to drive there myself? Get them from the petrol station located before you turn into the sand dunes . Alternatively I think there might be so locals renting out boards on site . Thanks so much! Really like your post! Youre so funny too! I'm planning a 6 day road trip in Perth with my parents and my 1.5 year kid, so your blog post was very informative and useful, thanks! How was the temperature in June? It gets more chilly at night doesnt it? thank You For Your Post. Its very interesting to see. Welcome . Do read our other travel adventure . hi, I figured you stayed in MR and drive to Augusta for the jewel cave and Whale Watching? Would it be better to stay in Augusta instead? We did exactly what was written here for our trip. Hi, may I know how much did your family spent over at Perth in total (estimated amount in SGD)? Excluding airfares, it was about 5K for 8 days. Includes Accommodation, Car Rental ( Full coverage), Food , Attractions and miscellaneous. how much is the lobster charges? is it expensive? We had it as part of the tour we took . Hi TWD. 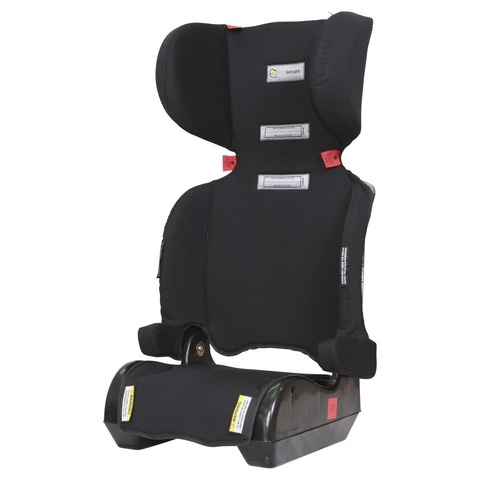 May I know does childseat/booster is required if you bring kids and driving in Perth? By law , you would need it for 6 and below or if of a certain height . Can I know how you booked for your margaret River Modern Home. We would like to stay there too. Hi there, may I know the place that you mentioned you would like to stay next time, is it in Perth city? Do you know any street name/ neighbourhood name etc? Thanks. Hi, I am travelling to Perth tomorrow. Is there any way to pay the parking charges using cards (smart)? Or should we need to pay only using coins? Where did you manage get coins? Hi, Thanks for your informative and interesting post. May I know after 6pm what are the usual activities we can do in Perth? Most malls close at around 6-7pm . The places that are open are the restaurants. We just head back to the apartment after our dinner . Your photos are marvelous! Thanks for taking the time to share your itinerary. Very useful and practical tips. Ohhh! Really love your post! So much inspiration! Thinking of doing a short slow pace relaxing one this June, perhaps 5-6days n easier on the pocket. What's your recommendation for itinerary for 2 adult + 14 & 9 yo? Thanks a lot for the tip! Will look through your suggestions! If I were to follow your recommended itinerary and maybe plus pinnacle, which area (NSEW Perth) would you recommend that I stay? If I were to follow your suggested itinerary, which area would you recommend that I stay at? Thanks for the sharing. May I check which apartment did you stayed in and if it's close to town? Stayed in quest in James street ( it's now call Best Western Northbridge Apartment ) . It's near the town centre . South Perth is also a good location . Don't think you need to stay too close to the city if you are driving as you would most likely spend your time out of the city exploring . Hi, was it noisy with the police HQ opposite Best Western Northbridge? I am also looking to the 2 apartment configuration. Do you have any idea what is the difference between standard and executive rooms? It was not noisy at all. The unit we stayed actually face the main road. The police station is actually on the other side of the road so we did not even see it . Not quite sure about executive vs standard . You might want to check their website for more details . Very good blog. Easy to read yet informative. I'm planning a family trip to Perth in June with 2 young kids so your blog is a godsend. Do you find that wifi is readily available in restaurants and cafes? Thanks for dropping in . We were not quite sure about the wifi in cafes as we were using our changi recommends wifi router. If you are going on a road trip , that is a must have item . The apartments we stayed had wifi though , so you might like to check that out when you book your hotel / apartment . Have a good trip ! Very informative blog.how safe on the road for a new driver? My son just got his license n we intend to rent a car to access outlying area! How long from Perth city to Pinnacles. The outskirts are relatively safe due to less cars on the road . However do watch the speed as some areas can be quite fast. Some roads are single lanes , so you have to be careful on those . Perth to Pinnacles is about 2.5 hours drive . Thanks for sharing all these information. Love the pictures and how thorough you were. I was thinking of doing a short Perth trip too this June and your itinerary is perfect for our family with three rascals! Also, may I know if you booked your own flights and accommodation? Thanks for the informative post! Very useful for my upcoming self drive trip to Perth this June! May I ask for your Fremantle Market visit, are the road jam with cars going to the multi storey carparks near to the market? Or would you recommend parking like 15min away and walk over to avoid the jam? Thanks! Use Google map to find the carparks. We rely on that throughout our trip. We stayed at Quest on James street in Perth and Margaret Forest at Margaret River . Hi hi, may I check is parking in Perth chargeable for most?? If you are in Perth City - yes. If you are in Margaret River - quite a few spots are free. Hi hi is parking in Perth all chargeable? Hi, may I know which petrol station you topped up at before you returned the car at Perth airport? Can't remember as we took the one that was on the way to the airport in the city . It should not be a problem as airport is only about 15-20 mins away . Can i check with you do we need to apply for International Driving Permit with Automobile Association of Singapore (AAS) in order to drive in Perth? Hi, am travelling to Perth for the very first time in a couple of days. I was doing some readings and came across your post. Can you share more information about The Pinnacles? How many days to stay in Margaret River is enough? It really depends on the agenda. If you are into Caves, Lighthouses, Farms, Wineyards , outdoor maze and even whale watching. You might want to spend a few days there. I'm looking at a apartment located at prevelly and my friend do recommend staying at Busselton. Based on your experience, which area would you recommend to stay if I'm going to spend 3nights there? I've booked an apartment at Mullaloo Beach for 3nights for exploring Perth city, Fremantle and Pinnacles followed by MR and lastly 1 nights in Swan Valley for exploring arnd Swan Valley and Caversham Wild life park before or flight back. For this itineraries, Do you think I should save 1more night for Swan Valley? Not quite sure about Busselton hotels as we only made a quick stopover there. Pinnacles and MR are in complete opposite direction so it is best to stay at the respective areas if you want to travel more efficiently. We spend a day at Swan Valley . Should be enough unless you are planning to make stops at the vineyards . Good Afternoon.. Thank you for this travel blog. Great information and I relied on it for my family travel plan. May I know what time did you depart from Perth to Busselton Jetty?Is there anything to do other than the uderwater observatory. It seems that you still can manage to squeeze in time for the lighthouse and cave tour. Did you book in advance? I plan to follow your itineary but worried that I might be late in checking in the Margaret Forest apartment as the reception closed at 6pm. Thanks to advise. Hi . We left pretty early from Perth . Think is was about 8 . Reach Busselton by 1130 ( we had a stopover at the playground ) had to rush through the caves and lighthouse and checked in at about 5. It was too close ! You might want to consider 2 nights at MR . It will be worth it . May I know whether you chose to pay on the arrival day for the car rental or prior to that? Hi, Do you mean that Optus prepaid does not allow tethering? Margaret River Choc factory has another branch at Swan Valley . The website should have the address . Ps. It looks almost similar to the Margaret River branch . We had been to both( on separate trips . Had a great read, like the photos very much. Do you mind to share the camera model that you used to take those wonderful photos? Hi, would you recommend Quest on James Street? Is it a good accommodation other than the fact that it has free parking? Thanks. Hi, what is the name of Aparment in Margaret River? Thanks..
Hi, for the pinnacle tour, may I know how much per pax? Does it include 4 wheel drive? Any idea if we self drive, can we book a 4 wheel drive at the park there? I heard is a four-wheel driving over the dunes. Drive down from a steep slope, just like sand boarding. Only special vehicle can do that. Would you recommend going Perth in November? Would it be too hot vs Singapore? Would whale watching be available at that time, that seems like the best item on your trip! Nov is spring , so weather is still good . Spore will still be hotter during this time . Whale Watch season will be over in Augusta , but should be available in Perth . Do check with the Whale Watch companies there. Do note every Whale Watch experience is different . Not everytime you can catch a breach . Thanks for your complete article on Perth. June in Perth is known to be the wettest month, however, from your pictures it seem to me of good weather when u were there in June. Were you there during early June? Margaret Forest. It's in the heart of the town. Plenty of food options. I budgeted aud 100 (sgd 110) per day for food and entertainment . It should be sufficient . Add another Aud 500 for petrol / shopping /etc . More if you are going there for wine and fine dining ! Hi I was planning on bringing our own booster seats until I saw you mentioned portable booster seats are not allowed. Are they very strict on this? Thanks. hi, i'm bring my 2 year old and 4 year old kids to perth soon. So i will need to rent the childeat and booster seat with the car rental company? Yes , you would have to as it is required under the law . Better be safe than sorry . Thanks for sharing. Been looking at your itenary many times. The tour agencies seem to recommend staying a day in busselton and mandurah along the way to margaret river, but i googled and didn't see anything much other than the jetty in busselton and the dolphin watch in mandurah. Would you recommend a stopover in mandurah for a day for the dolphin and cruise? Hi. Thanks for sharing your itinerary. However, your comment: "*Do note that portable booster seats are not allowed in Australia." has me puzzled. I brought portable booster seats both times to Australia. 1st time to Perth and 2nd time to God Coast and no one said anything. Where did you get this info from? Hi Serene . You might want to check here to see if the booster seat you carried are allowed. https://www.productsafety.gov.au/standards/child-restraints-for-use-in-motor-vehicles Certain portable models (eg mifold) are not on the list. If yours match the information , it will be good. Technically all restraints in Australia must have the AS/NZS 1754 Stickers as per the law. We had not been stopped before by the police, but it may be safer to follow the rules set. Hope this helps! Hey thanks for replying. I shall check it out. But my booster seats are so old I doubt if the stickers are still there! Lol! Hi, thank you for your great post!!! We are going this june and thinking going to have apple or fruits picking. Any recommendations? Why you didn't go for that during your trip? Any special reason? Too many activities in Perth and that did not cross our mind :) Will save it for the next trip down ! Thank you for your super fast reply!!! We only going for 5 days ~ 3 full days in between. Grabbed the deal when SIA got promotion to perth ~ 420 per person!!! Thought of going MR for 1 day but after read your post, think need to put aside. Going swan valley for 1 day, Fremantle and city and factory outlet for 1 day, fruits picking and shopping for 1 day. Sounds great!Have a good trip! You probably can skip Mandurah. With stops your drive time is about 4-5 hours. Probably reach there around 2-3pm. If you are going in June, it will be winter. It gets dark at about 530 pm. Hi, thanks for your great post! I didn't realise there are so many activities in Margaret River region and they looked so fun. In your post, you guys stayed at Pullman Resorts, followed by the Margaret Forest Holiday Apartment. I haven't been to Margaret River before, so wondering why you guys did so. Or is it possible to stay put at Margaret Forests and move around to the various places of interests? Thanks so much! Hi...greetings fom M'sia! I must say that your write up is really interesting. I will be going to Perth next month, Is it easy to travel around the city by grabcar ? Hi! How was the weather when you went in June? I heard that it gets rainy, but your photos seem to show otherwise. Also, you didn't go to Rottnest to see the quokkas? Thanks! HI, you only stay one night at Margaret River Forest? For this trip , yes only one night. It was not enough and we were back at Margaret River for a week the next year! Perth is an amazing tourist destination and i always love to visit in Perth specially in Fremantle. Hello, really enjoyed your blog... Thanks for all the useful information. Between Yallingup Maze and Amaze'N, which would you recommend as we only have time for one.